18X TELEPHOTO LENS : Delivers 18x optical magnification to get you 18X as close to what youâ€™re shooting with your phones. 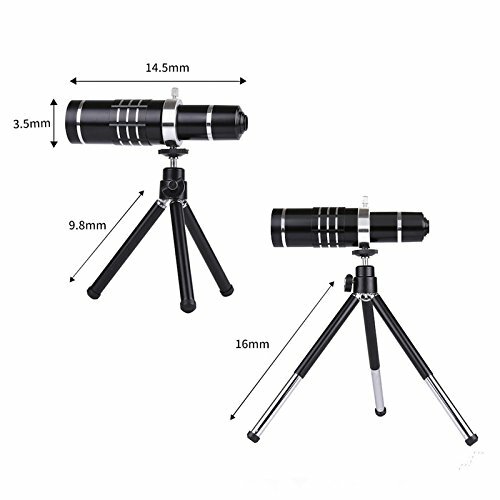 MINI TELESCOPIC TRIPOD WITH FLEXIBLE LENS: Allows you adjust the position (high or low ). 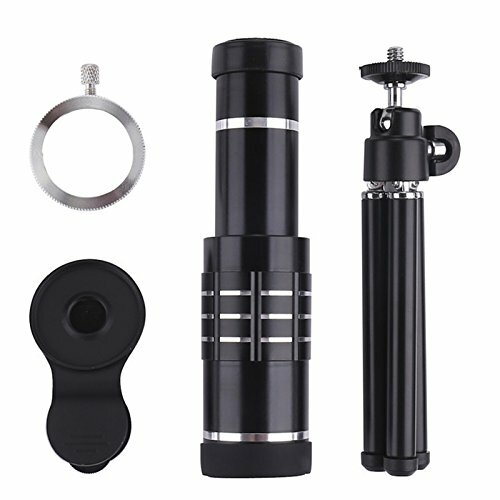 All Stainless Steel Material makes the telephone lens more stable. 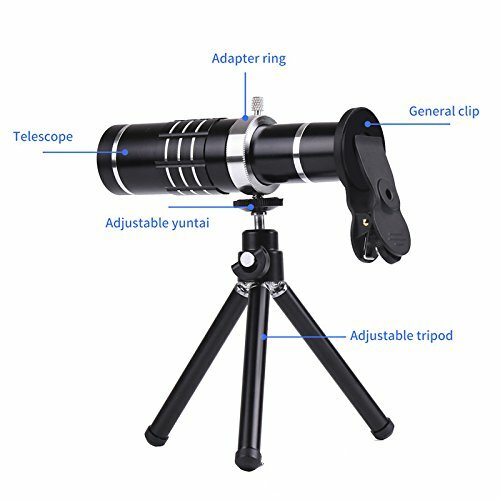 The lens is made of professional grade optical glass to ensure the highest quality photos and is encased in aluminum barrel. 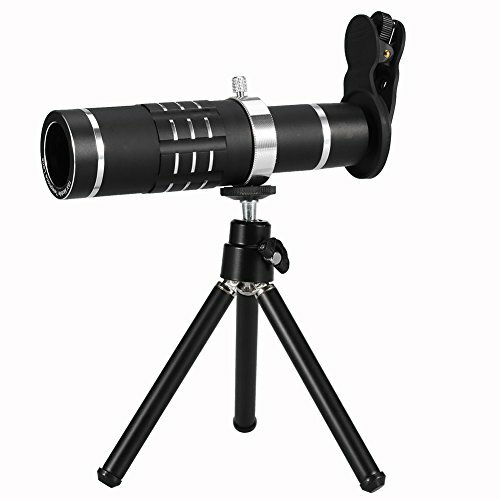 This ensures a higher refractive index, truer colors and a higher resolution. 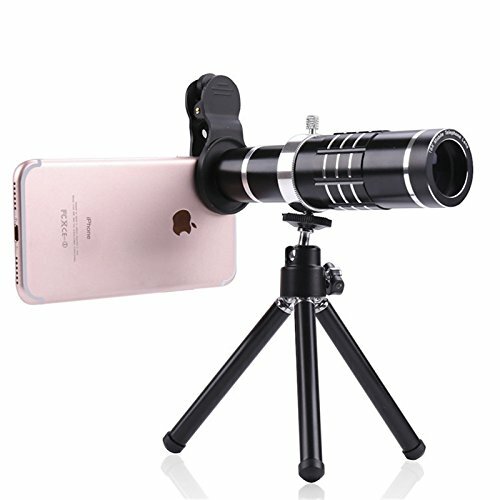 WIDELY USAGE FOR PHONE: Excellent for taking pictures or videos of long distance objects, like buildings, landscapes, concerts, travel, animal observation, etc. 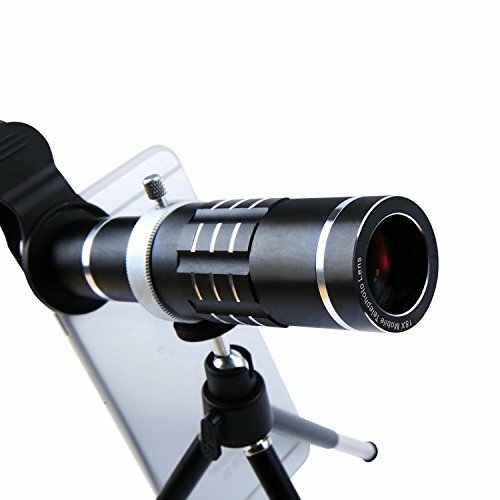 Get better pictures without buying a big camera. 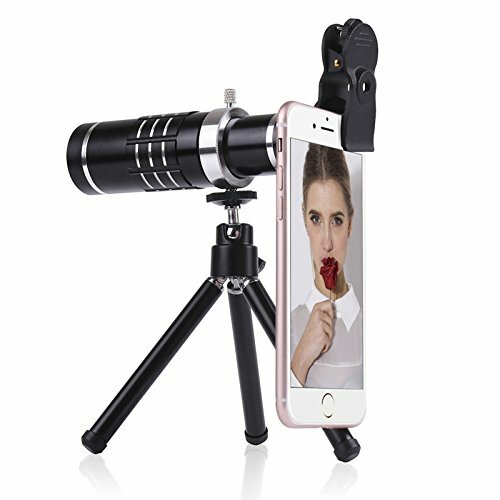 EADSY to INSTALL AND USE: Clip on your phone and Screw the Telephoto lens onto your phone until the lens is securely tightened onto the clip; Screw the lens with phone onto tripod.Adjust manual focus,focus on objects,no shaking ,a good picture comes.